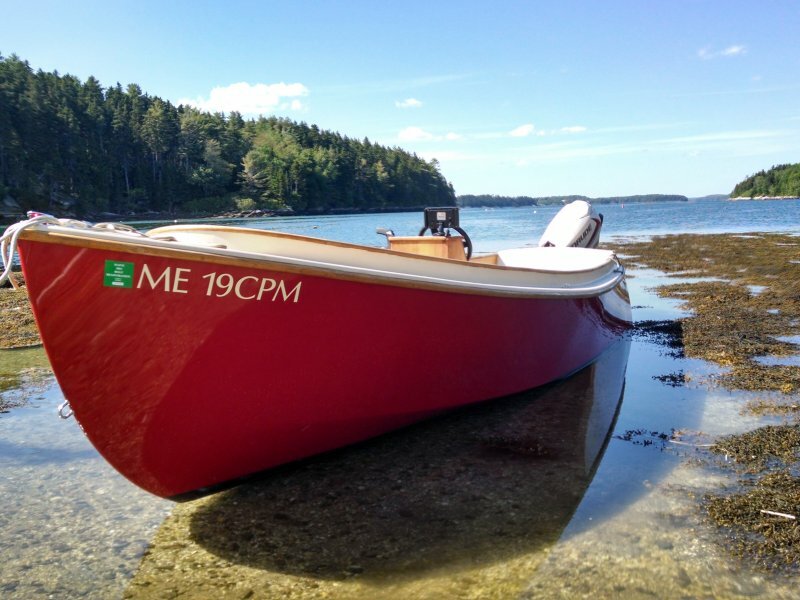 Designed by Jesse Lowell (207-504-3311), sixth generation boat builder and designer (great grandson of William Frost). 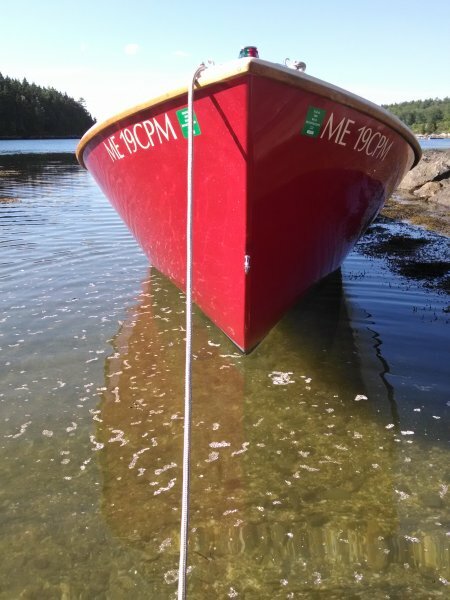 Mischief was built by Jesse Lowell and owner, Captain Joanna Lavan. She was designed on a computer and all parts were cut precisely by Paul Baines Fine Woodworking of Bowdoinham, Maine using a CNC machine. Mischief was built with Okume plywood, sealed with epoxy and cloth with an Alex Seal finish. 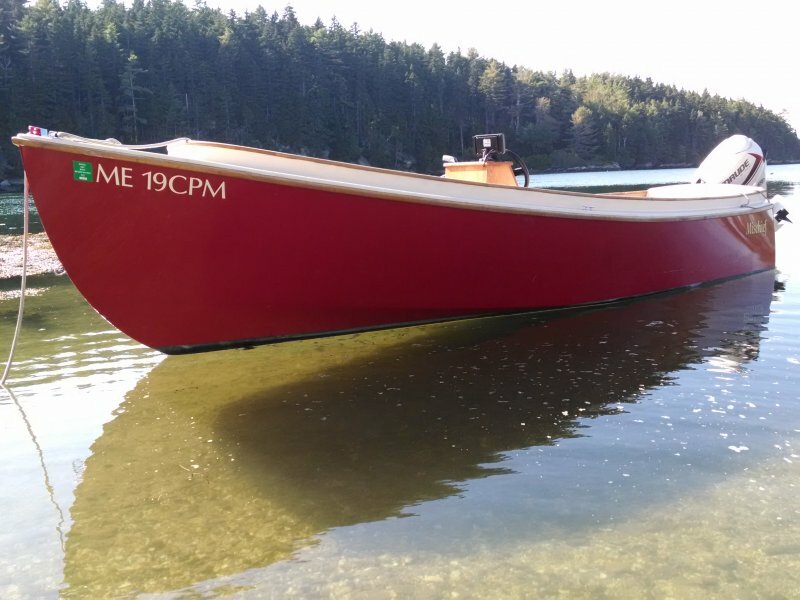 All bright woodwork (coaming and console) was custom made by Jesse Lowell using Butternut. Powered with a 30hp Evinrude E-tec. Speed up to 22+ mph with one person and achieves excellent fuel efficiency. 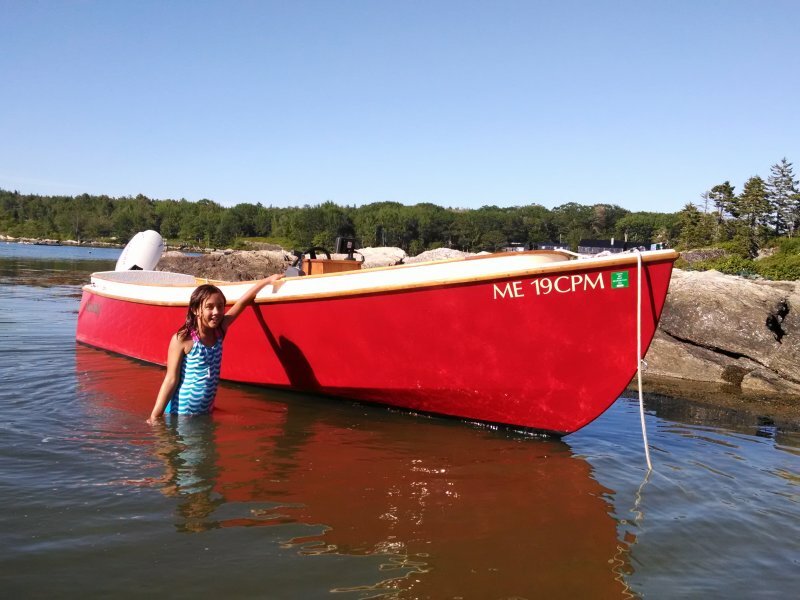 Despite her size, Mischief has proven to be an extremely seaworthy, safe and confident vessel in all the boating conditions she has encountered in Casco Bay.